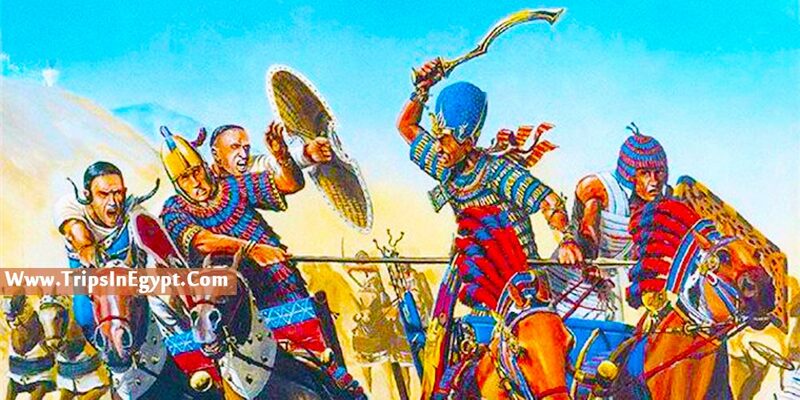 There has never been more talked about the battle in the history of ancient Egypt than The infamous battle of Kadesh. The battle of Kadesh is the most document military engagement of ancient times in the Middle East. It took place in 1274 BC in the city of Kadesh “an important trade city in the region of Syria” between the forces of Pharaoh Ramses II (1279-1213 BCE) and Hittite king Muwatalli II (1295-1272 BCE) where both parties called victory as it is known to be the first documented peace treaty in history or rather a treaty of Delimitation which marks borders or boundaries instead of agreeing on terms for peace between nations. 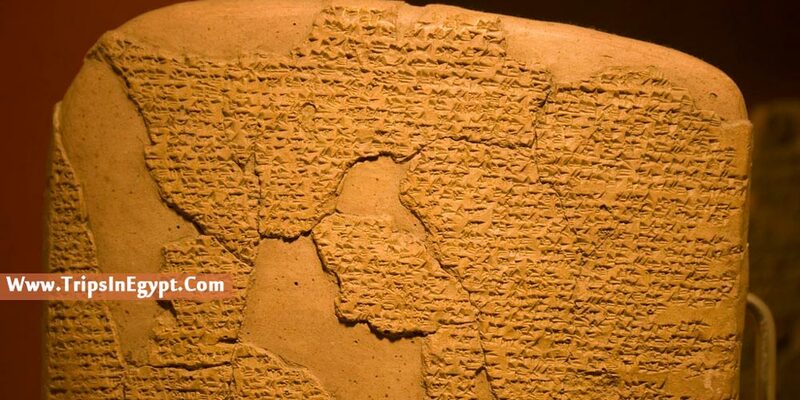 The history of the Hittite with the Egyptian comes back to the times of Pharaoh Tutmoses III where they caused countless trouble and incursions towards Egypt to the point that in the reign of Akhenaten and Tutankhamun as they attempted to expand their regions near the borders of Egypt. During the fifth reign of Ramses the great, a decision was made to its time to expand his empire and drive the Hittites from his borders by capturing the city of Kadesh for the purpose of making it an Egyptian trade and economic hub for the benefit of Egypt and suitable strategic location to lunch Egyptian expansion in Syria and the rest of Asia. Pharaoh Ramses was able to prepare an army consisting of 20,000 soldiers and 2,000 chariots against the army of the Hittites consisting of 40,000 soldiers and 3,000 chariots which were known to be heavier than the traditional Egyptian chariot. The battle of Kadesh saw one of the biggest chariot battles in the history and was a very vital part in deciding the winner of the battle, the Hittite chariots were able to chatter the Egyptian chariots into little pieces and victory seemed to be at hand which resulted in the Hittite dropping their guard and declare their victory. While they were indulging in their false victory, the Egyptians led by Ramses II collected his remaining troops and was able to lunch a counter-attack with lighter more maneuverable chariots and was able to drive the enemy’s troops in the river of Orontes. King Muwatalli II chooses to retreat to the city Kadesh. Both parties claimed to be victorious, King Ramses II was able to outsmart the Hittite army and saw himself as the winner and King Muwatalli was able to safeguard the city of Kadesh so he viewed himself as the winner. 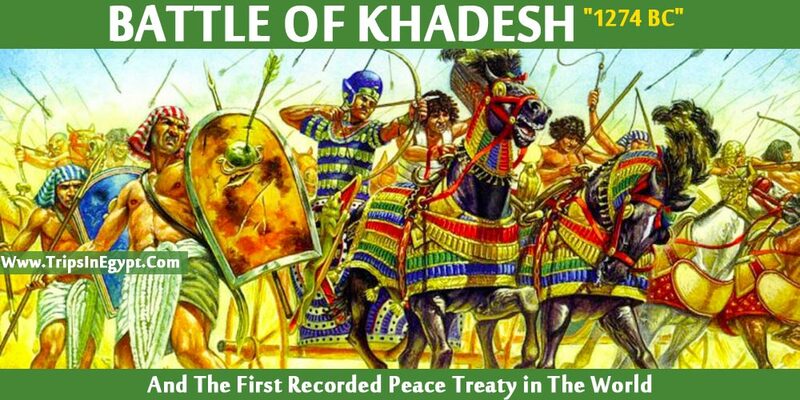 Many historians claim the battle of Kadesh was a draw between the two parties and after fifteen years of the battle of Kadesh and the two nations agreed that the path of peace was the ideal choice. During the year of 1258 BCE, the throne of the Hittite empire was passed from Muwatalli II to his son Hattuslili III who chooses to sign a peace & Delimitation treaty with Ramses II. Based on the newly signed treaty both the Egyptians and the Hittites opened trade relations and exchanged technological and agricultural expertise as the Hittites taught the Egyptians how to make more superior weapons and tools as they were skilled in metalwork and the Egyptians taught them the art of agriculture which improved the economical & livelihood of the people of both nations for many centuries to come. Finally, ancient Egypt left many various battles that showcase the glory and the force of ancient Egyptians in battles as recorded in the history books. so our Egypt tour packages provide a great opportunity to knock the door of the history and march between ancient of the Egyptian legends. In addition to enjoying a Nile cruise between Luxor & Aswan and witness the land beauty of Pharaohs.